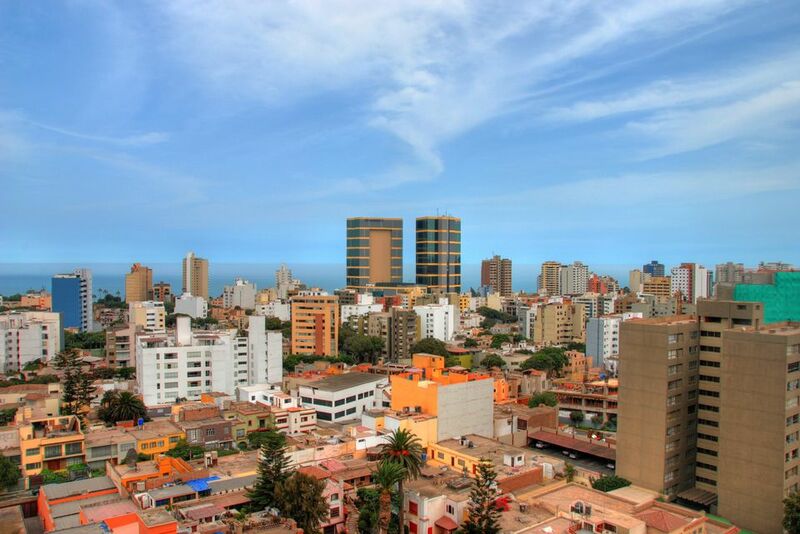 The following list of famous people from Peru highlights those Peruvians who have become well known internationally, at least within their niche or field of expertise. The list includes living Peruvians only. Paolo Guerrero (soccer): An established star in Peru, Paolo Guerrero is fast gaining recognition on the world soccer scene. He has so far spent most of his top-flight career in Germany, first with Bundesliga giants Bayern Munich before joining Hamburg in 2006. Guerrero moved to Brazil in 2012, enjoying great personal success with Corinthians and being voted the second-best soccer player in South America that year (behind young Brazilian wunderkind Neymar). Transfer rumors have linked Guerrero with a £30 million move to Chelsea F.C. (English Premier League). Kina Malpartida (boxing): Arguably Peru’s most successful sports star in recent years, Kina Malpartida is a huge star in Peru (as many Kina-driven advertising campaigns attest) and a major player on the international women’s boxing circuit. She currently holds the World Boxing Association Super Featherweight title. Sofía Mulánovich (surfing): Born in the beach hotspot of Punta Hermosa in Lima, Mulánovich surfed her way to become the World Open Champion in 2004. In 2007, she was inducted into the Surfers' Hall of Fame. Claudio Pizarro (soccer): Despite an unsuccessful stint with Chelsea and a lackluster scoring record for the Peruvian national team, Claudio Pizarro has nonetheless forged a formidable reputation in the German Bundesliga. The striker has enjoyed successful periods with both Werder Bremen and Bayern Munich, becoming the top foreign scorer in German soccer history. Nolberto Solano (soccer): “Nobby” Solano is a soccer legend in both Peru and England. He won 95 caps for the Peruvian national team. Now retired, he enjoyed a successful career in the English Premier League. Between 1998 and 2008, Solano played for Newcastle United, Aston, Villa and West Ham United. His wedding was televised live in Peru, a testament to his fame throughout the country. Gabriela Pérez del Solar (volleyball): Volleyball is one of the most popular sports in Peru, and "Gaby" Pérez del Solar is one of the country’s most famous former stars. At the peak of her career, she was regarded as one of the finest blockers in the world. She cemented her place in Peruvian sporting history by being an integral part of the team that won the silver medal at the Seoul Olympic Games of 1988. Pérez del Solar began a political career after retiring from volleyball; she was elected to the Peruvian Congress in 2006. Cecilia Tait (volleyball): Like her compatriot and teammate Gabriela Pérez del Solar, Cecilia Tait was a member of the silver-medal team at the 1988 Olympics in Seoul. She was inducted into the Volleyball Hall of Fame in 2005. Tait began a political career and -- again like Pérez del Solar -- was later elected to the Peruvian Congress. Juan Manuel Vargas (soccer): A driving force for the Peruvian national soccer team, “Loco” Vargas began his career as a left-sided defender but now plays more often as an out-and-out left-winger. Vargas has played in the Italian Serie A since 2006, playing for Catania, Fiorentina, and Genoa. Alex Acuña (drummer/percussionist): Acuña started drumming in bands at the age of 10, joining the band of Pérez “King of the Mambo” Prado in the 1960s. Drummers rarely become household names, but Acuña is certainly well-respected, and well known, on the international music scene, having played with the likes of Elvis Presley, Diana Ross, Paul McCartney, Ella Fitzgerald, Whitney Houston, Carlos Santana, and U2. Susana Baca (singer): Born in Chorrillos, Lima, in 1944, Susana Baca has become one of the leading stars in Afro-Peruvian music. She has won two Latin Grammy Awards, the first in 2002 and the second in 2011. In 2011, Baca was named Peru's Minister of Culture; in the same year, she was elected President of the Commission of Culture for the OAS (Organization of American States). Henry Ian Cusick (actor): Cusick, best known for his role as Desmond Hume on the hit television series Lost, was born in Trujillo on the north coast of Peru. He left Peru at the age of two, moving to Spain, then Scotland, then Trinidad and Tobago before returning to Scotland (his father is Scottish, his mother Peruvian). Cusick has had numerous film and TV roles, including appearances in 24, Scandal and the Hitman movie. Juan Diego Flórez (opera singer): Born in Lima in 1973, Flórez now ranks among the most famous operatic tenors in the world. Notable achievements include a Grammy Award nomination for Best Classical Vocal Performance in 2009, the Italian Premio Abbiati 2000 for singer of the year, and Peru’s highest honor, the Gran Cruz de la Orden El Sol del Perú. Nathalie Kelley (actress): Like Henry Ian Cusick, Nathalie Kelley sneaks onto this list despite living most of her life outside Peru. Kelley was born in Lima in 1985 then moved to Australia in her early teens. Kelley is most famous for her role as Neela in The Fast and the Furious: Tokyo Drift. Claudia Llosa (movie director/writer): Peruvian director Claudia Llosa is on the “one to watch” list rather than being a household name. Llosa first gained major international recognition when her film The Milk of Sorrow (La Teta Asustada in Spanish) was nominated for the Academy Award in the Best Foreign Film Category. Mario Vargas Llosa (writer): A true heavyweight and arguably the most famous Peruvian on the world stage, Arequipa-born Vargas Llosa is a hugely influential writer, journalist, essayist and politician. Notable works include The Time of the Hero (La Ciudad y Los Perros), Death in the Andes and The Feast of the Goat. He ran for the Peruvian presidency in 1990 but lost the election to Alberto Fujimori. Vargas Llosa received the Nobel Prize in Literature in 2010. Christian Meier (actor/singer): Meier may not be a big name in English-speaking circles, but the actor/singer is well known in the Spanish-speaking world, including the U.S. Hispanic demographic. If you’re a fan of Spanish-language telenovelas, you’ve probably seen Meier at some point. Fernando de Szyszlo (artist): According to the Latin American Masters website, “Fernando de Szyszlo is one of the foremost artists to emerge from post-world war Latin America.” Born in Lima in 1925, Szyszlo is a key figure in abstract art (and plastic art in particular); his works have been exhibited in many major venues, including the Guggenheim Museum in New York, the Art Institute of Chicago, and at the São Paulo and Venice biennials. Mario Testino (photographer): One of the world’s most famous fashion photographers, Testino’s work has been featured in magazines such as Vogue and Vanity Fair, while his subjects have included the British Royal Family (most famously Princess Diana), Kate Moss, Madonna, Lady Gaga and Cameron Diaz (to mention just a few). Alberto Fujimori (former President of Peru): Fujimori served as president from July 1990 to November 2000. A hugely controversial figure, he is credited with restoring Peru’s economy and ending the excesses of Shining Path activities in the country, while being criticized for corruption and human rights violations while in office. Javier Pérez de Cuéllar (diplomat/politician): Having first joined the Peruvian Ministry of Foreign Affairs in 1940, Pérez de Cuéllar served as a diplomat in various countries before being elected as Secretary-General of the United Nations, a position he held from 1982 to 1991 (he was re-elected unanimously after his first five-year term). Hernando de Soto (economist): Economists, no matter how successful, are the world away from pop stars when it comes to fame. Hernando de Soto, however, is a leading light in the realm of economics. Bill Clinton called him "The world's greatest living economist," while Time magazine chose him as one of the five leading Latin American innovators of the century and included him in its list of the 100 most influential people in the world in 2004. Gastón Acurio (chef): Gastón is Peru’s superstar celebrity mega-chef and all-around ambassador of Peruvian cuisine. He owns restaurants in some of the world’s major cities, including his La Mar ceviche rias in Lima, Bogota, New York, Panama, San Francisco, and São Paulo. Paddington Bear (bear): As we all know, Paddington Bear arrived in London from his home in “darkest Peru.” He then inspired a series of children’s books written by Michael Bond. María Julia Mantilla (beauty queen): Born in Trujillo in 1984, María Julia “Maju” Mantilla wasted little time in her quest for beauty queen stardom. She was first crowned Miss La Libertad, a title that served as a springboard toward the Miss Peru pageant and ultimately the 2004 Miss World competition. Mantilla was crowned Miss World 2004 after a global telephone and online vote. Carlos I. Noriega (astronaut): Noriega was born in Lima on October 8, 1959, but moved to California at the age of five. The former NASA astronaut is a Peruvian and U.S. citizen.